After being in the manufacturing industry for the past 22 years, Quantum Leisure decided it was time for a new challenge. With all the skills, machinery and technical knowhow already available, combined with a passion for the outdoors and camping, a new caravan was born. This resulted in a luxury range of caravans that is practical, affordable and manufactured to an extremely of high quality. These new luxury caravans make the camping and outdoor leisure experience as easy and enjoyable as possible. By moving some main parts of the kitchen to the outside of the caravan, you can now use your gas stove and basin by simply pulling out a drawer. Now that’s convenience which suits our moderate climate, as we tend to spend much more time outside rather than inside. Also incorporated is a bunker bed system which saves space and it gives the kids their own beds! With these luxury caravans you are able to take your camping and outdoor experiences to new heights. 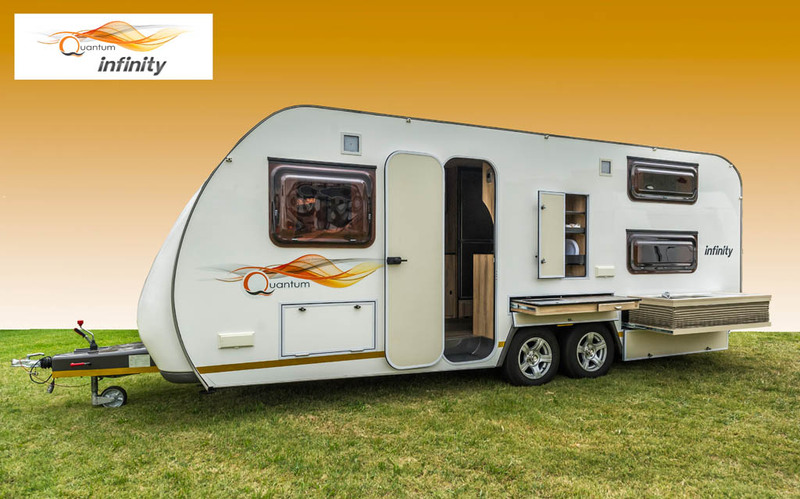 Quantum Leisure strives to create caravans that are manufactured with robust build qualities, coupled with a variety of modern accessories and comforts, designed to afford you the holiday you deserve in complete comfort. Everyone wants a home away from home. 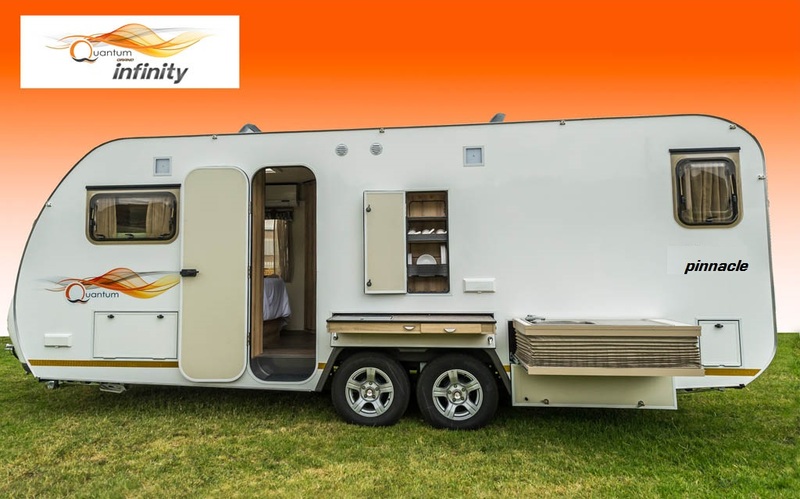 The Pinnacle is a 3 sleeper luxury caravan adorned with top of the range accessories such as microwave oven, combination fridge freezer, hot water geyser, shower, pull-out stove and a double pull-out basin. Add to this two outside multi plug points, an island bed, outdoor kitchen, 220 volt battery pack, a 60l water storage tank and a patio roof tent to create the perfect holiday at your favourite destinations. The Grand Infinity is manufactured to extremely high standards to satisfy every customer’s requirements. This highly affordable 2 sleeper caravan is equipped with a rally tent, island bed, has a full bathroom, an outside kitchen, fridge/freezer combo, pull-out double sink, an automatic water filling system, USB charging facilities and LED lighting among many other great extras all designed to bring you a little closer to the wonderful outdoor and caravanning life. Isn’t it time you connected with luxury? 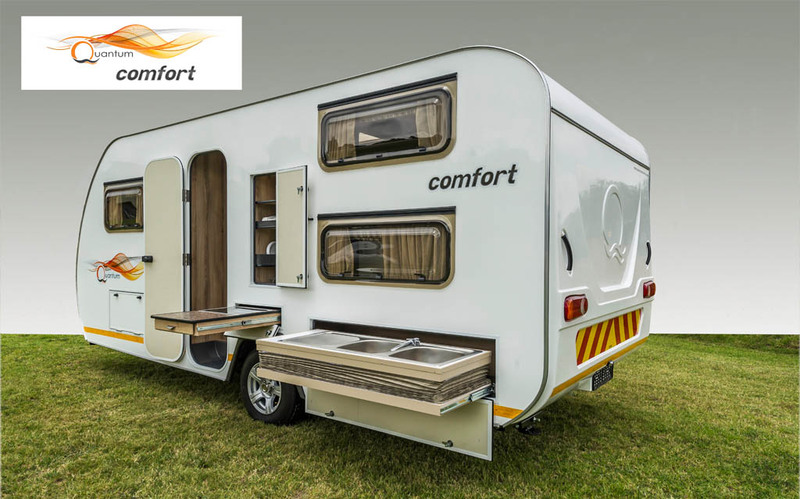 The Comfort is a 3 sleeper caravan outfitted with numerous extras and accessories to make life on the road that much more enjoyable. 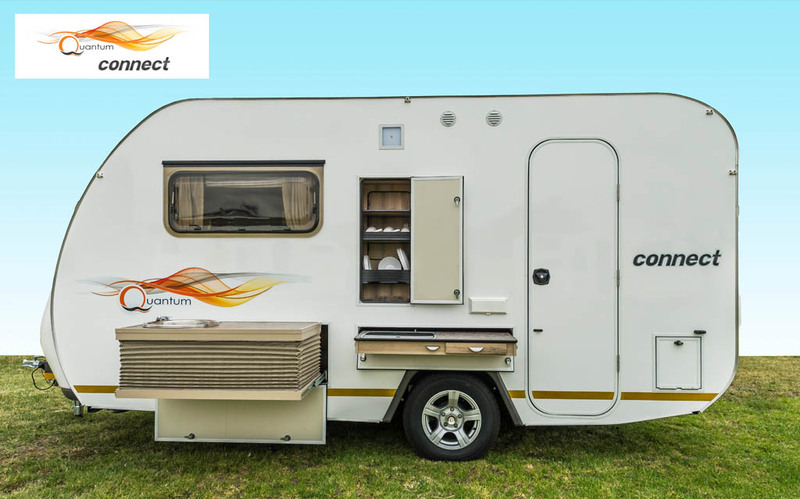 This unit comes standard with a fridge/freezer combo, microwave oven, hot water geyser, portable toilet, water closet, shower, 60l water tank, pull out stove, double pull out basin and outdoor kitchen which is perfect for our South African climate. Add to this the island bed, 2 bunker beds, gas cylinder, 12 volt LED lighting and roof vent and you’re set for a comfort caravan holiday of a lifetime. Also standard on this model is the patio roof tent and ground sheet.